1. View HTML code of the generated 'html5video.html' file with any text/page editor or browser, you will get above embed code. 2. Copy the two code snippet and Paste to your Web page Head and Body sections. Copy and paste above code into your HTML source, replace the width and height with your own video player size in pixels. 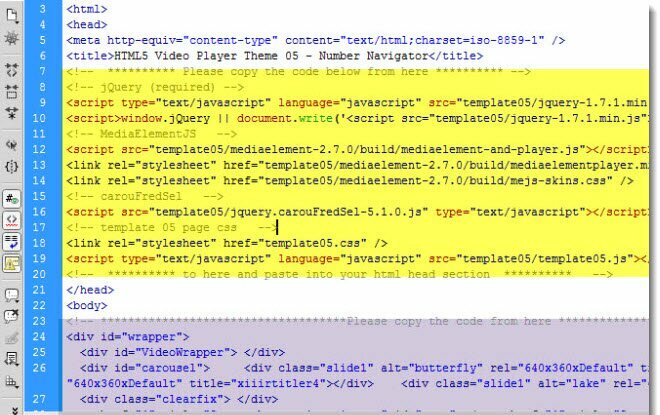 You can use native HTML5 video tags as well. It is easy to configure, see an easier way to insert generated HTML5 videos into your website here.